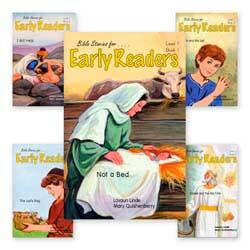 The McGuffey’s Readers Set contains the original Christian content. Approximate grade levels are listed for each of the books; however, since reading is best taught individually, how the child progresses through the series will depend on the reading skills of the student. The Original McGuffey’s Readers are available separately or in one of two sets below. Hardcover except for the Teacher’s Guide which is paperback and does not fit into the slipcase with the hardcover readers. 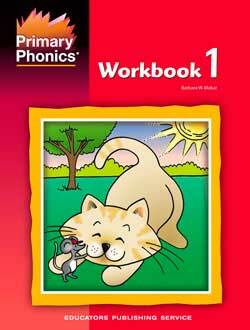 The Primer begins with the alphabet; moves to simple one-syllable words such as cat and fox. It progresses to more difficult one-syllable words such as horse and spring. This hardback is illustrated with the original drawings and has 60 pages. The Pictorial Primer begins with the alphabet. In early lessons, there are simple three- and four-word sentences of one line each. It progresses to longer sentences and full paragraphs. The original illustrations are included. It is a hardback with 133 pages. Both the Primer and this Pictorial Primer can be used in first and second grades. 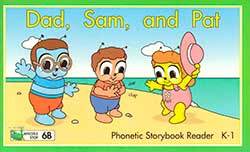 Most of the words in the First Reader are phonetically regular and a few have silent letters. The words get as hard as “would” and “stalked” and “engaged.” It includes stories of children who want to please God and who love to learn. It is a hardback with 153 pages. The First Reader is used in the second and third grades. The Second Reader begins with one- and two-syllable words and moves to more difficult words. It contains stories on the Bible, American history, manners, animals, courage, honesty, God, and the love of reading. It is a hardback with 242 pages. It covers approximately third grade through fifth-grade reading levels. The Third Reader “develops thinking skills and the richer vocabulary of grades six through eight. It contains works by famous authors such as Addison, Irving, and Byron. The readings “address questions such as how we know the Bible is from God; character building topics such as work versus idleness; and topics of science and nature. This book is an education in itself and not merely a reader. After mastering this, the student is reading better than most high school students.” It is a hardback with 256 pages. The Fourth Reader “develops advanced vocabulary and thinking skills.” It “introduces some of the greatest English authors – Webster, Jefferson, Shakespeare, Johnson, Schiller and others. Students will read of Napoleon and Wilberforce, of Jesus and the Apostle Paul. They will ponder death, good and evil, the Bible, eternity, duty, and God. Elocution helps included.” It is a hardback with 422 pages. It may be used at high school level, although some schools use it with good readers in junior high. Written by the brother of William McGuffey, it is called the Progressive Speller because it begins with basic phonics and progresses to advanced vocabulary. It is a hardback with 142 pages. This Parent-Teacher Guide for McGuffey’s Readers was written expressly for Mott Media’s republication of the 1830’s McGuffey Readers. It is a comprehensive guide for using the McGuffey Readers and it includes general helps for teaching reading and specific ideas for each lesson. There are 110 pages in this paperback book. “Learn about William McGuffey and the impact his readers had on the piety, morality and education in 19th century America.” McGuffey and His Readers is a paperback with 224 pages.